For the first time in a very long time, I had a trip to the capital to do one of my favourite things, visiting museums and researching new work with one of my dear friends and collaborators, poet Isobel Dixon. 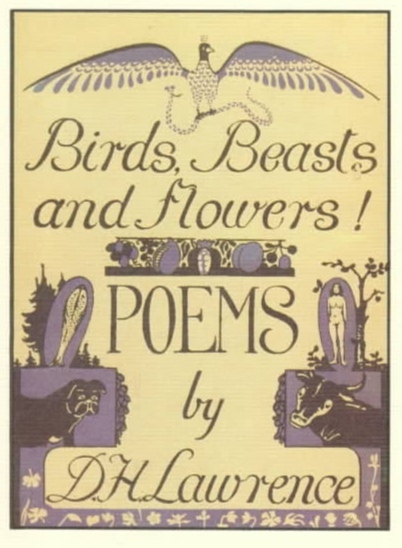 Next year, 2020, will be the one hundredth anniversary of D H Lawrence writing the poems that were to become the collection ‘Birds, Beasts and Flowers!’ These poems include some of Lawrence's finest reflections on the 'otherness' of the non-human world. Lawrence started the poems in this collection during a stay in San Gervasio near Florence in September 1920. He continued working on individual poems in Taormina (Sicily), Ceylon (now Sri Lanka) and Australia before completing the book in February 1923 while staying in New Mexico. Many of his most famous and much-anthologised poems like ‘Bats’, ‘Snake’ and ‘Mosquito’ come from this collection. In the course of this long-term project Isobel and I are responding to Lawrence’s poems in various ways, and to each other’s work as a result of this contemplation and ‘conversation’ with the themes of travel, encounters with nature, our identity, mortality, sexuality and otherness. There are elements of response, renewal and rebuttal to Lawrence’s work in their approach. Looking around such a wonderful resource such as the Natural History Museum can help, not sparking new ideas, but can often help resolve images and poems that have been sitting in the notebooks for a long period. Many artists and writers through the years have drawn inspirations from the fantastic collections of art and artefacts we have at our disposal in our nations thousands of museums and galleries. Over the next few months we’ll be developing ideas and collection our own selection of written and visual treasures to be viewed, and hopefully move and inspire, audiences around the country. Watch out for future post featuring the work from our Lawrencian collaboration.